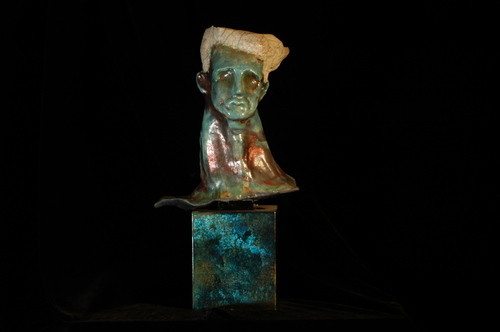 "Peacock Boy" was an early experiment in extruded raku formed into a stylized bust. The piece received its name from the peacock blue color of the glazing. This piece is in the artist's private collection.